We don’t want you to be missing out on local deals and discounts, so we have put together the ultimate Cincinnati-based Reward Programs list. Here are our Cincinnati favorites for customer loyalty programs, and what you can learn from each. 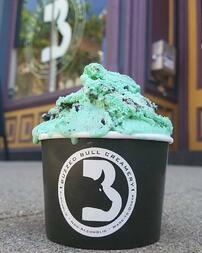 Buzzed Bull Creamery – (Free) That’s right alcohol-infused ice cream and milkshakes that start at 5% ABV. A delicious deal is waiting for you for just signing up. Just for signing up, you get two free mix-ins to redeem on your next purchase! Servatti Pastry Shop – (Free) Servatti’s is the tasty treat that all Cincinnatians love. With so many locations, there are so many opportunities to save. Kroger Give Back – If you are from Cincinnati you know about Kroger Plus Cards, but did you know that Kroger also has Community Rewards? Once you're enrolled, you'll earn rewards for your chosen organization every time you shop and use your Plus Card! That’s a pretty sweet deal for just going grocery shopping! Graeter’s Ice Cream – (Free) Graeter's Sweet Rewards is a program designed to reward you for purchase made on your favorite Graeter's treats. Earn 1 point for every $1 you spend at a Graeter’s Ice Cream location. After you earn 100 points, you will be awarded a $5 reward for use in one of the Greater’s Ice Cream locations. Joseph Beth bookstore – (Free) When you join Gives Back Member Rewards, you earn points on every purchase. Plus, you save money on bestsellers, Staff Picks, and our Products of the Month. A percentage of all proceeds go back to the community. Currito – (Free) Cincinnati-based restaurant, Currito, has all of your burrito needs. If you are a frequent visitor or just love Mexican food, Currito wants to treat you to rewards. Tom+Chee – (Free) Tom+Chee is not a typical sandwich shop, the Cincinnati-based chain offers a variety of twists on the classic grilled cheese, and is now is offering rewards! If you shop at any of these places, frequently or even semi-frequently you should definitively be taking advantage of these programs. They are essentially giving you money. If you enjoyed learning where you can save money and earn rewards every time you shop and support local businesses, make sure to subscribe to the Cincinnati Bell blog for other Cincinnati and local related content.